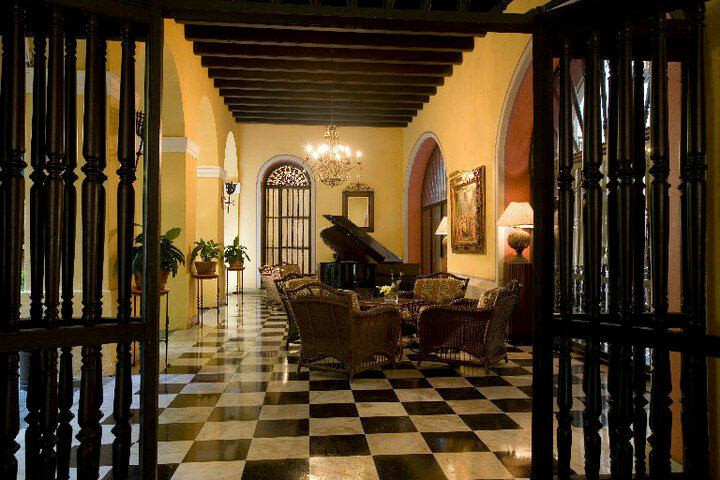 Discover timeless charm and tradition at the Hotel El Convento. 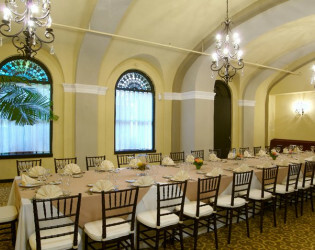 Host events, ceremonies, receptions, and rehearsals in one of our elegantly appointed wedding venues and banquet halls. 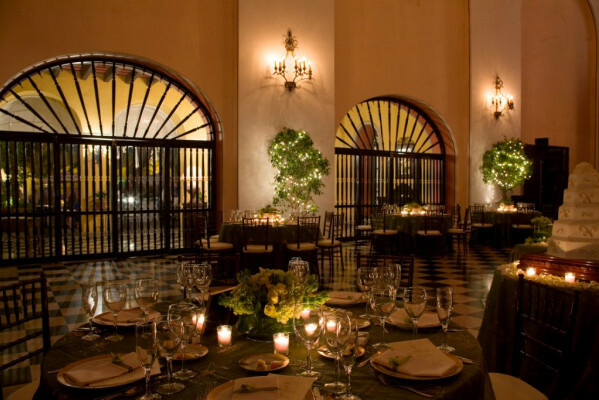 Gorgeous Spanish colonial architecture, elegant décor and an intimate old charm feel offer an inspiring setting for your important day. Discover timeless charm and tradition at the Hotel El Convento, a lovingly restored luxury hotel nestled in the heart of Old San Juan, Puerto Rico. 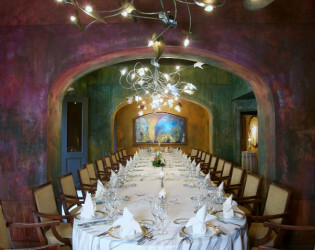 Host dream weddings, receptions, rehearsal dinners and banquets in a stunning Caribbean setting. 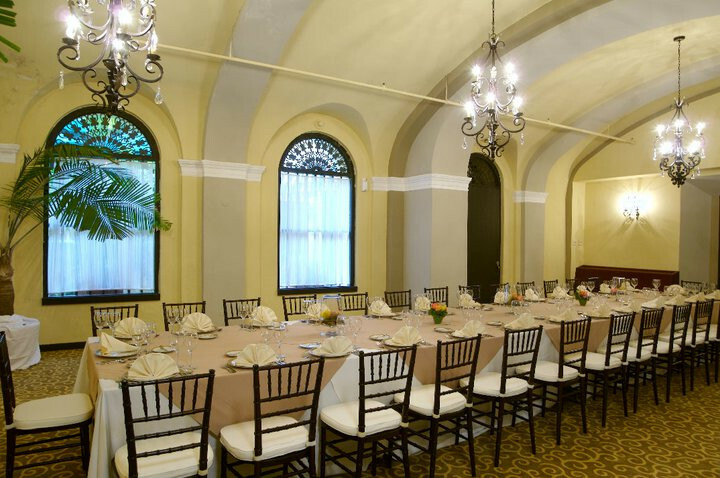 Our Old San Juan hotel is fully equipped with exquisite wedding venues, expert event planning services and comprehensive wedding packages that allow you to plan your special day just the way you envisioned it. We want you to experience the enchantment Hotel El Convento has to offer. 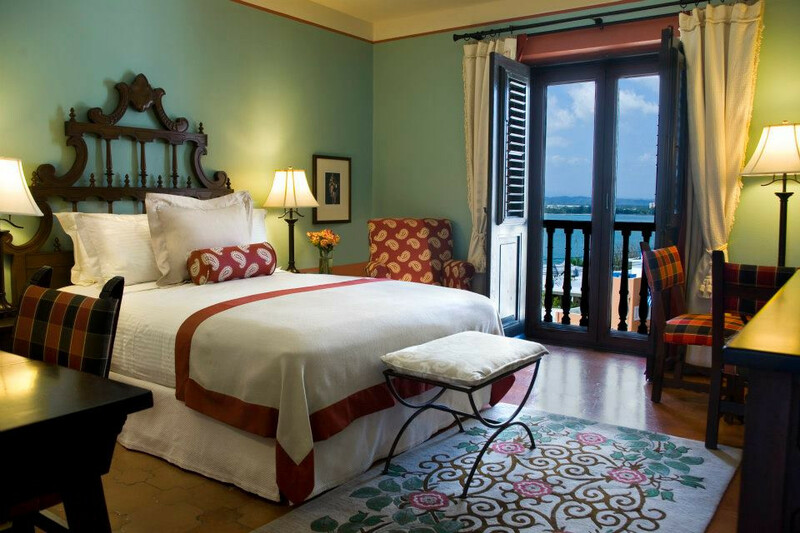 Relax and unwind in any of our 58 hotel rooms that feature ornate handcrafted furniture, marble bathrooms, and Andalusian tile floors. 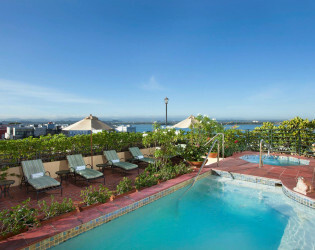 Sit back and take in a gorgeous "vista" of the bay for some of the very best lodging San Juan has to offer. 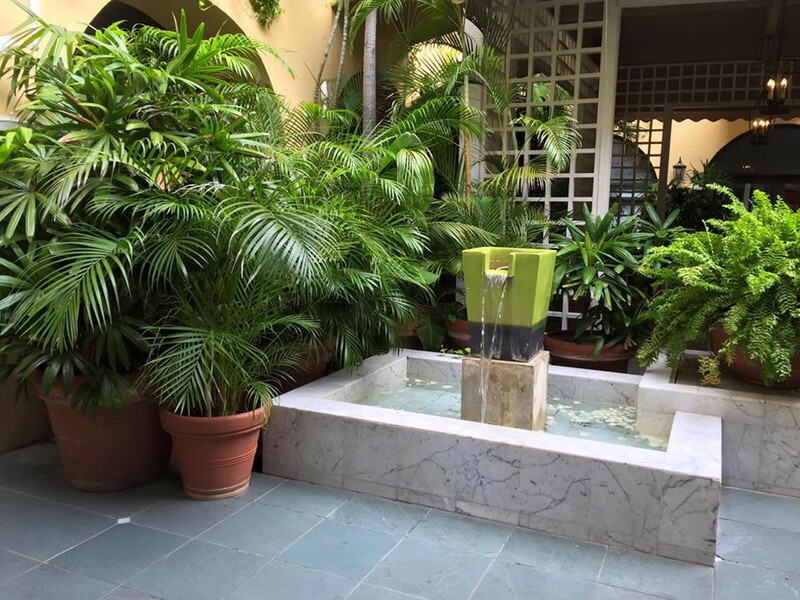 The loving restoration of our Spanish Colonial hotel is reflected in the design of this architectural gem in the heart of Old San Juan. 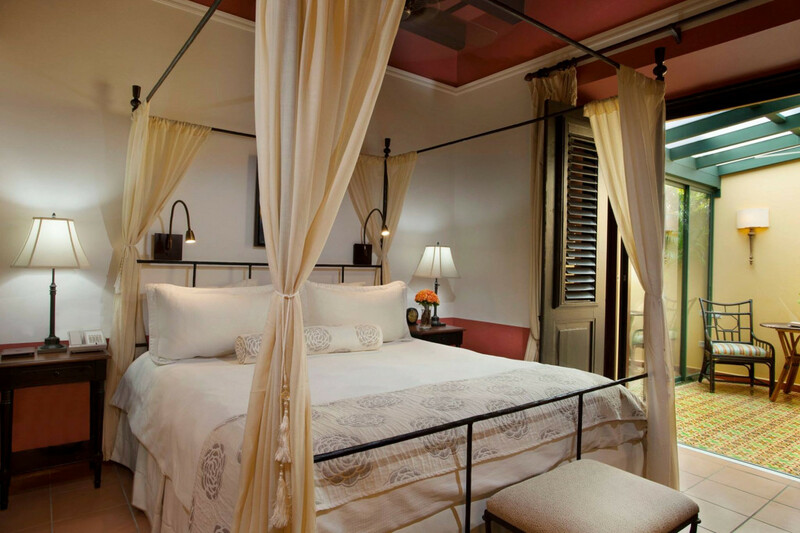 From the exposed rich mahogany beams to modern comforts,Hotel El Convento offers the finest accommodations in Old San Juan. 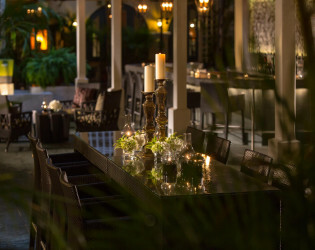 After dinner, stroll through our lushly landscaped interiors bathed in the soothing glow of wrought-iron lamps or take a refreshing dip in our plunge pool. Blending a distinctive, contemporary character while conveying the spirit of the Old World, our acclaimed accommodations in San Juan, Puerto Rico. 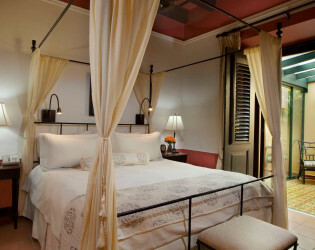 Our unique hotel rooms offer the finest in luxury lodging in San Juan, Puerto Rico. Discerning travelers will enjoy modern comforts such as Bose stereo systems, refrigerators stocked with complimentary chilled bottled water, plush bathrobes and slippers. Designed with true rejuvenation in mind, our rooms and suites feature generous amenities. 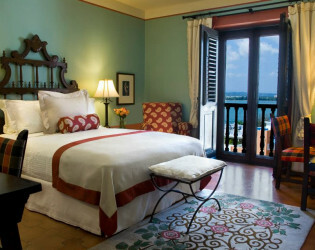 Imagine a destination as grand and storied as the "Isle of Enchantment" itself for your memorable Puerto Rico vacation. 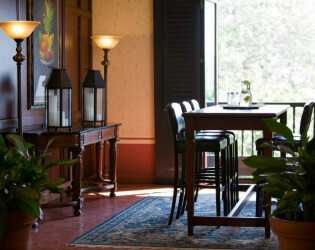 Old world charm and elegance meet contemporary comfort in this Small Luxury Hotel of the World. Experience our award winning hotel and learn why our guests consistently rate us #1 San Juan Lodging on TripAdvisor. Throughout the years, couples have chosen El Convento, the finest San Juan boutique hotel, for a once in a lifetime celebration of their destination wedding or honeymoon. 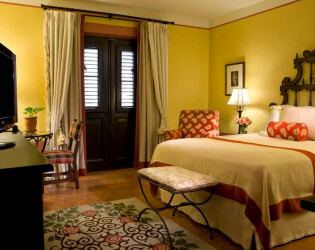 One of the world’s most unique hotels, Hotel El Convento, located in Old San Juan, has been totally renovated and restored so that travelers can stay in a medieval walled city that dates back to the Spanish conquest, so superbly refurbished that it is now a destination. The building’s characteristic Spanish features were an enormous open interior courtyard framed by tiered balconies and arched corridors. Nuns’ cells were tiny rooms with single beds and straw mattresses. The spacious chapel had a domed ceiling. On Cristo Street, the convent was (and still is) adjacent to the Plaza of the Nuns, the city’s second oldest park. Across the street is San Juan Cathedral, built in 1521 of clay, one-story with a thatched roof, destroyed by a hurricane and rebuilt starting in 1540. The Western Hemisphere’s oldest cathedral, it is one of the few examples of medieval architecture remaining in the New World. 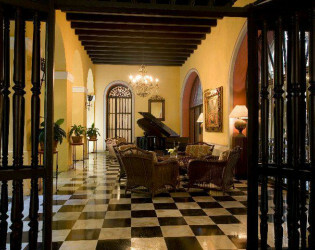 In 1959, under Operation Bootstrap, Robert Frederick Woolworth, heir to the Woolworth fortune, purchased the convent property from the Archdiocese of San Juan for $250,000 and transformed it into a deluxe hotel named El Convento. It would spur the development of business, tourism and employment in Old San Juan. 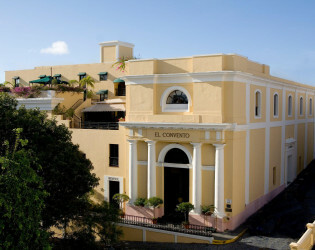 The hotel has returned to its original name, Hotel El Convento. 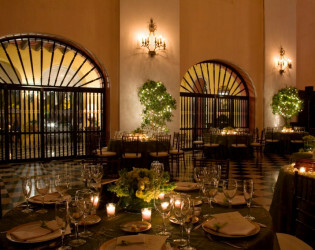 It opened in January 1997, 35 years after the original El Convento Hotel and was immediately chosen by CONDE NAST TRAVELER as one of the 23 best new hotels of the world. The reopening of the hotel marked the 346th anniversary of the convent site, a national historic landmark. 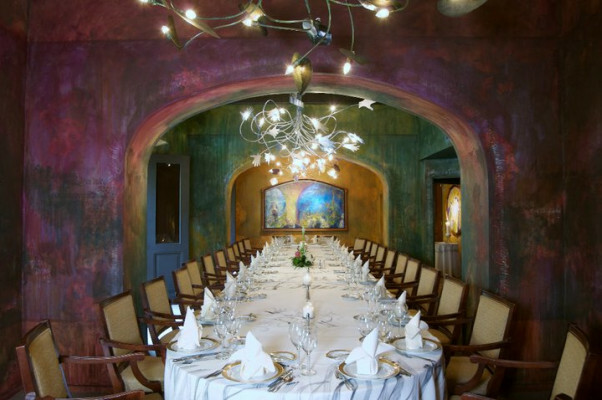 In recent years, the readers of both CONDE NAST TRAVELER and TRAVEL & LEISURE again voted El Convento one of the world’s best places to stay. In 2002, the hotel was featured in the May issue of Architectural Digest, which showcased the “celestial spirit” of this luxury landmark. 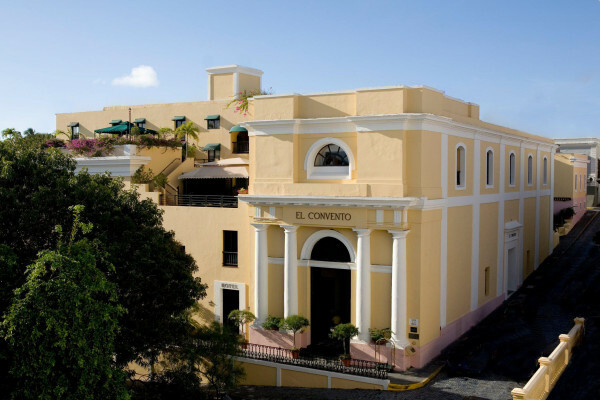 Hotel El Convento is a proud member of the Historic Hotels of America and of Small Luxury Hotels of the World, the only hotel to hold these distinctions in Puerto Rico. 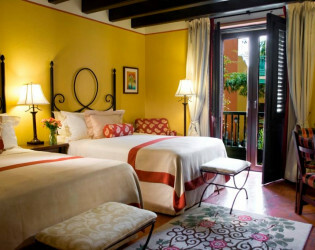 After being opened for one year, AAA awarded Hotel El Convento Four Diamonds, a distinction it holds today. 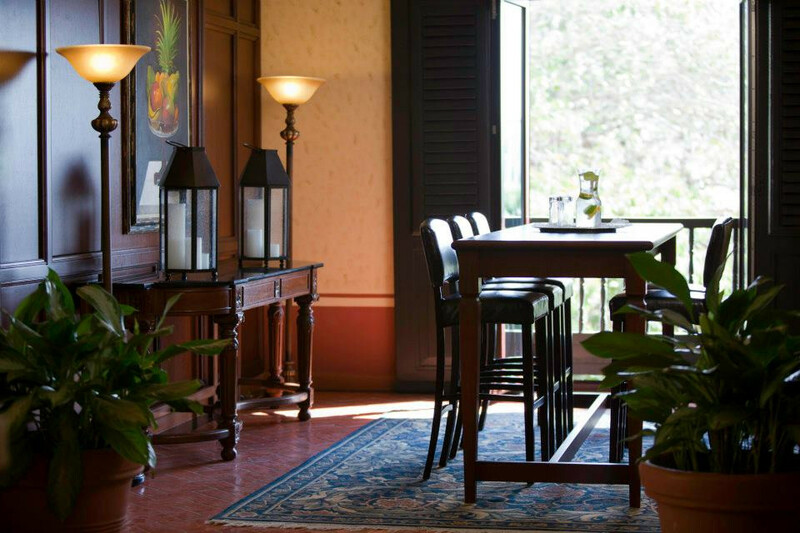 The hotel is designated “official guest house” of the government of Puerto Rico for visiting heads of state and dignitaries. 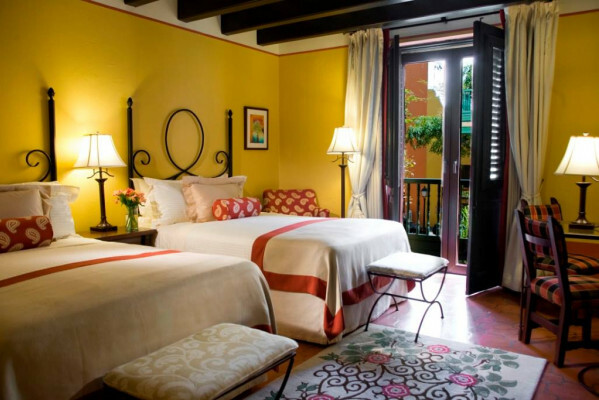 Hotel El Convento is for travelers who enjoy luxury lodgings with fine quality and European services in a truly Old World environment that is under the American flag. 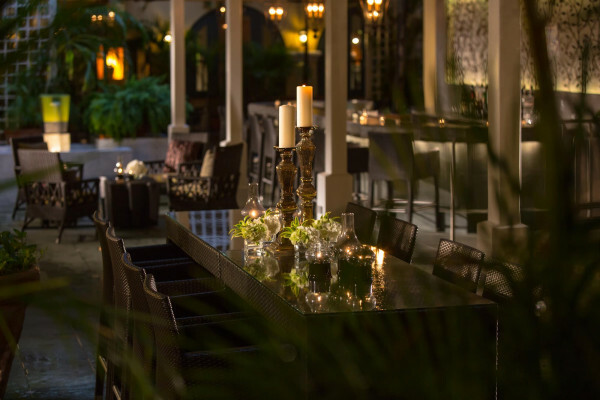 Discover timeless charm and tradition at the Hotel El Convento, a lovingly restored luxury hotel nestled in the heart of Old San Juan, Puerto Rico. 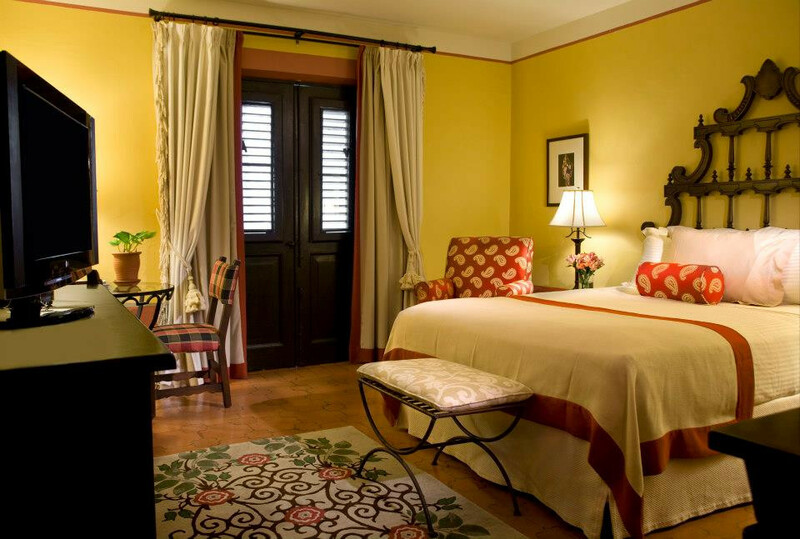 Relax and unwind in any of our 58 hotel rooms that feature ornate handcrafted furniture, marble bathrooms, and Andalusian tile floors. 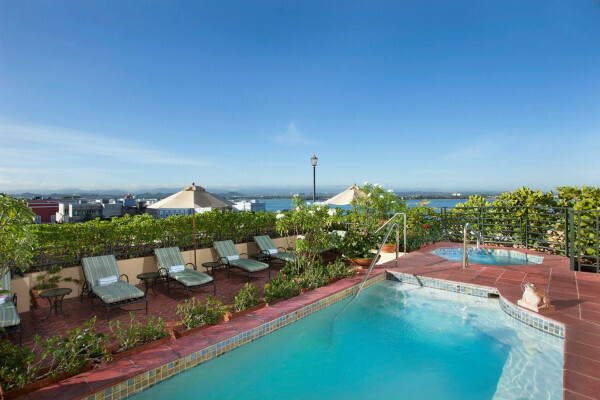 Sit back and take in a gorgeous "vista" of the bay for some of the very best lodging San Juan has to offer. The loving restoration of our Spanish Colonial hotel is reflected in the design of this architectural gem in the heart of Old San Juan. Enjoy the sun from our plunge pool and Jacuzzi or the shimmering sand and surf at the El Convento Beach Club. Our San Juan, Puerto Rico event location will inspire your guests and help your meeting become a memorable success. Our six modern meeting rooms offer distinct features and unique style. Our expert staff is always on hand for creative catering, technical support, and to make sure all of your guests feel comfortable and confident.